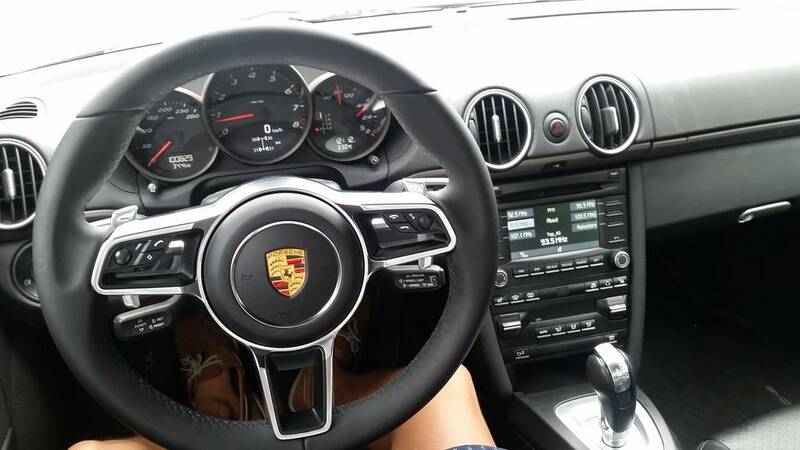 did anyone (or someone) changed out the original (black) MF steering wheel with a new MF (i think 991.2) steering wheel with flaps? there are a lot of steering wheels for sale on e-bay but don't know if these will fit ! Stefan, If I have understood your question your looking to fit the newer style steering wheel but want MF , If thats the case then this info should help, theres a link to the Paul Li adaptor you may need to make it all work. hope this is the info your after if not post up some pics of which wheel it is you want to fit. So do you think i still need this adapter because i already have a MF steering wheel ? Hi Stefan, Thats the bit I couldnt quite make out from reading the threads etc you could try emailling this Paul Li chap at GPS in the US . or just try to decipher the info in the threads a bit more . Does anyone know if say a Macan wheel can be swapped onto a 911? 99% sure yes, but we just need someone to try it and confirm The connections/wheel look identical. I cant see how anything would be different. The Macan wheel should work okay. In fact, reading between the lines, pretty much any of the more modern wheels (eg Panamera style) can be made to work with varying degrees of functionality. Paul Li at GPS is very helpful and will put you right. I am about to do just this - namely fit a Macan MF wheel in place of my existing non-heated 991.1 MF wheel - if you want to compare notes. I have the wheel already and the GPS kit was ordered late yesterday (Tuesday) and I've just heard from DHL that it will be delivered next Monday. I am still looking for a Porsche specialist to do it for me but if I can't find someone I will have to find time to do it myself. Watching with interest as I also have had a Macan steering wheel offered to me and have been looking at the GPS website - no great rush but if anyone has an airbag or the correct GPS adapter sitting around feel free to get in touch. I have always wanted a paddle shift multi function wheel so looking forward to replacing the 997.2 m/f wheel - mine incidentally has been rewired to operate like a paddle shift wheel pull left for downshift, pull right for upshift - both push controls have been disabled. The 997.2 wheel will prob be sold afterwards to help fund the new version. even the twist mode button does work ! Wow that looks very updated for sure! Can you put down a list of what you used / ordered. I am interested in doing this but i have the non mf sports design wheel. He si a very helpfull guy so you only need to ask him..